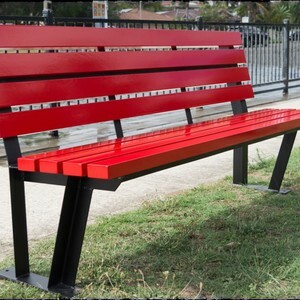 Scully Outdoor Designs has announced that its full range of commercial outdoor seating products is available with brightly coloured aluminium slats. The aluminium slats come in a choice of six gloss colours: French Blue, Yellow Gold, Flame Red, Mistletoe Green, Orange Burst and Bright White. The products’ galvanised steel frame is available powder coated in black or silver. The standard length for the company’s products is 1800 mm long, but products are also available in 1500 or 2000 mm lengths. 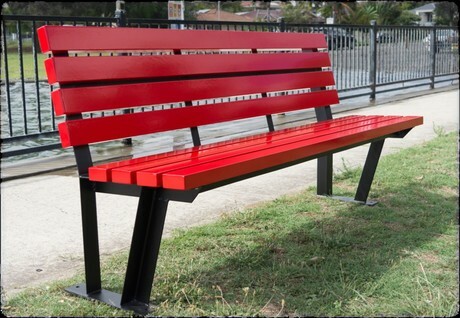 The company is a Local Government Procurement approved contractor. 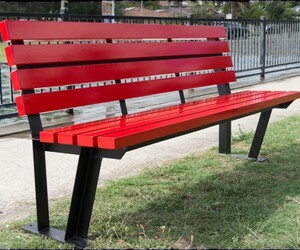 I am interested in Scully Outdoor Designs commercial outdoor seating range .